Have you ever wanted to create labels for your CDs and DVDs? What about some nice cover art for your CD jewel cases or DVD cases? If you have, then you might want to check out EZ Label Xpress. Sure, this program may not be top of the line, but it’s free and it gets the job done quickly. 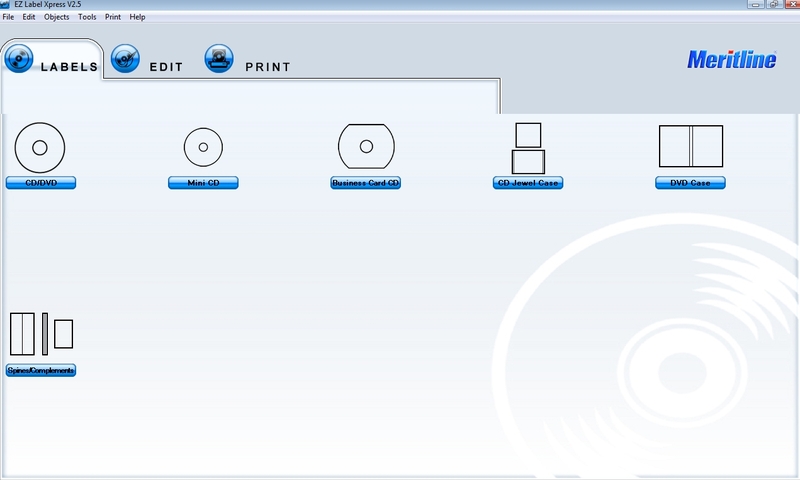 EZ Label Xpress is a program that will allow you to easily make CD/DVD labels for your created disks. 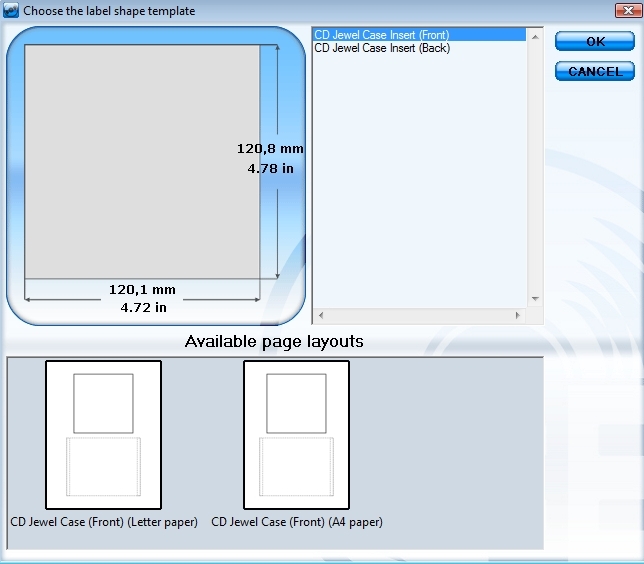 It can also help you design nice inserts for your jewel cases and DVD cases thanks to preinstalled layouts. There may be programs out there that are more powerful than EZ Label Xpress, but this program does not disable the printing function like a lot of other similar programs do. EZ Label Xpress is a program I have actually used for a long time. Not because it is the best, but because it is easy to use and allows me to easily create the labels I want without any hassle. Yes, the program is very basic, and you have to supply your own pictures. However, in the end there is enough charm here to satisfy most basic users. After installing EZ Label Xpress, you will see that the program is pretty straight forward. When you launch it, you will be greeted with a screen that has a few different layouts on it. You can choose to make CD/DVD Labels, Mini CD Labels, Business Card CDs, Jewel Case Inserts, DVD Case Inserts, and just Spines for CD cases you may have already made inserts for. The program does not come with much (maybe one or two) preinstalled pictures. Thus, you are going to want to use your own. This should not be much of a problem, however, since most people will probably want to use their own pictures anyway. Once you find the picture you want to use, simply insert it and adjust it to fit the template. You do have a few tools that will allow you to rotate, flip, crop and even add text to your images if you want. Of course, for whatever reason, you can’t bold the text you add. I find that very curious as it seems to be such a simple task. EZ Label Xpress does not offer any “advanced” options to speak of. Thus, this is a program that will hardly entertain people who want more options. However, I find that if you make your pictures in other programs and then simply upload them to EZ Label Xpress to use their layouts, you can still create some nice looking cover art. Also, as with any label maker, your pictures are only going to turn out as good as your printer. When I print, I always make sure it is on gloss paper, as it comes out looking more professional. I did not try their CD label maker, which prints right onto the disc, but I assume it works just as good as their case inserts. Overall, EZ Label Xpress is a great program when you consider it is free. People who are looking for a full featured program may want to overlook this one. 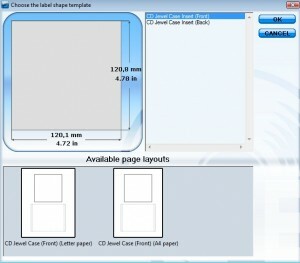 However, if you’re just looking to make some labels for your cases and CDs, you can’t go wrong with EZ Label Xpress.